been an even better experience, this live registration captures a great atmosphere. applause. It starts off with calm melodic waves, probably created with manipulated violin. everything into a brilliant hypnotic rhythm. combined with skilled presentation and misty sound; the result is marvellous. 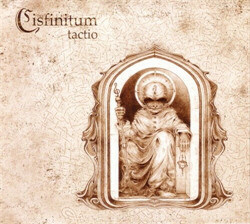 who knows, Cisfinitum itself might become a touchstone for the genre in the future.